September days see the re-opening of school doors in the state of Oregon and across the country. Historic Oregon newspapers have dutifully remarked upon the start of the back-to-school season and the academic pursuits of Oregon students throughout the decades. Often, historic Oregon newspapers marked the occasion of the new school year with pictorials that typically were comprised of photographs of fresh-faced students sitting in rapt attention in classrooms, vigorously engaged in academic or athletic pursuits, standing alongside peers in carefully posed photographs of school teams or activity groups, or walking cheerfully en route to school on their first day back. The Morning Oregonian, in its September 7, 1915, issue, noted that “nearly 30,000 pupils” were on their way to school that morning in Portland. 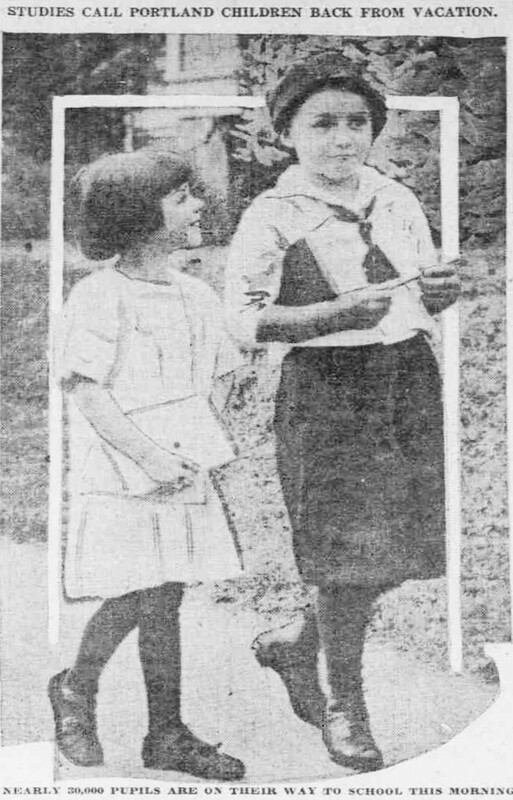 The newspaper features a photograph of two young children, nattily dressed, on their first day back. The Morning Oregonian also caught America’s future farmers in action in classrooms and laboratories at Oregon Agricultural College, which is now Oregon State University (OSU) in Corvallis, Oregon. 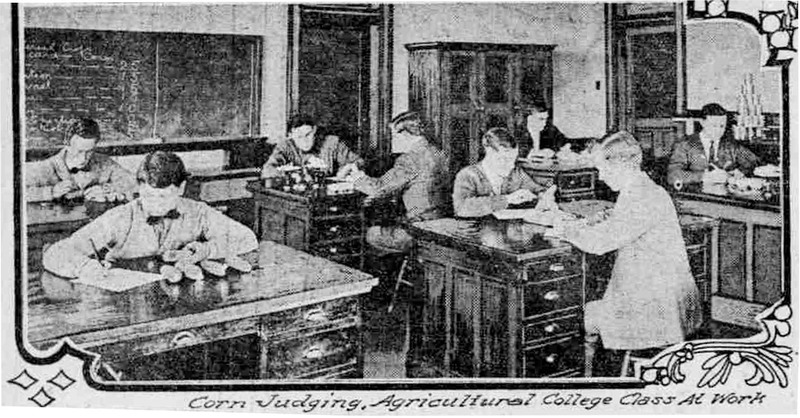 In photographs, the historic Oregon newspaper captured young male students at the college “making cement fence posts,” getting hands-on experience with dairy farm machinery, and “corn judging,” which can be seen in the photograph posted below. The Oregon students of yesteryear were engaged in a wide range of academic and practical learning activities that were intended to benefit them and boost the local and state economy. In addition to showing Oregon students as active participants inside the classroom, historic Oregon newspapers reported on the avid athletic pursuits of the state’s high school and college students, both male and female. Members of school sports teams, typically in uniform and posing alongside teammates and coaches, were the photographic subjects of many historic Oregon newspapers. The Sunday Oregonian, in an article titled “Portland ‘School Days’ Not All Given to Book Study,” focused on the extracurricular activities of students at Washington High School, Girls’ Trade School, Jefferson High School, and Franklin High School. 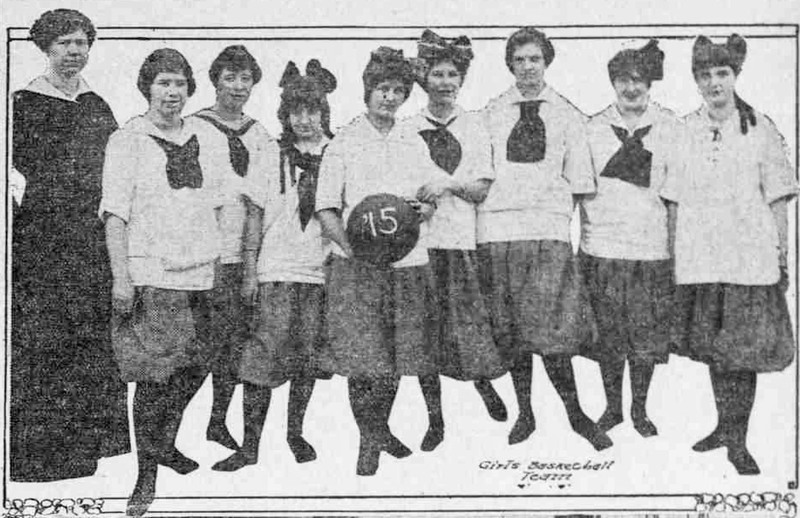 The article includes a photograph of the “Girls Basketball Team” at Franklin High School, seen below. “Back to school” in Oregon meant heading to class in first-day finery, working individually or with peers in classrooms and laboratories to get a handle on newfangled farm equipment, coming together with one’s basketball teammates in fierce determination to win one for the school, and much, much more. Over the span of many decades, in the 19th century and beyond, historic Oregon newspapers chronicled these moments in academia and preserved them for the ages. ‹ Historic Oregon Newspapers – Lots of New Content Added!